Solar Culture Gallery is located in a historic 3000 square foot turn of the century style Art Deco produce warehouse. We encourage everyone to share their art in our building. There is no jury. All work is accepted. It is free to show your artwork. No commission is taken if something sells. There are usually over 100 people showing art in our gallery. We change the art three times a year, in October, February, and May. The gallery hours are 12:00pm to 12:00am. Stop by and ring the door bell. The theme for our shows is sharing your heart and mind with the community. The diversity of styles, mediums, and concepts in the gallery is a direct reflection of the variety of people showing their work. 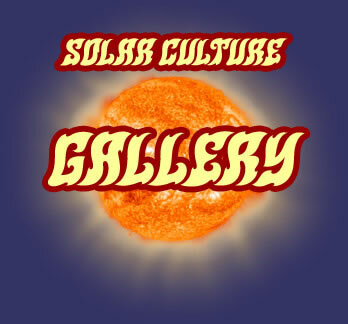 Whether you are a first-time artist or someone who has been making artwork for many years, you are welcome to show your work at Solar Culture.